Many people wonder does Satan have children? Nowhere in Scripture does it say that Satan had a daughter or son. On the other hand, spiritually speaking when a person has repented and put their trust in Christ alone for salvation they become children of God. If someone has not put their faith in Jesus Christ they are children of Satan and they stand condemned. 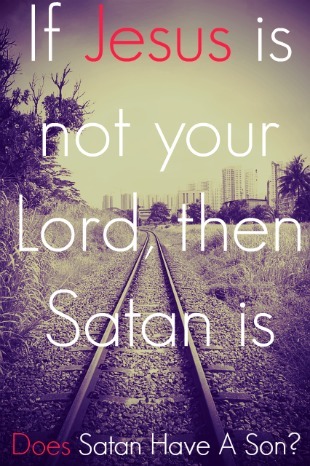 If your father is not God, then Satan is your father. The Antichrist is Satan’s son. John 8:44-45 Ye are of your father the devil, and the lusts of your father ye will do. He was a murderer from the beginning, and abode not in the truth, because there is no truth in him. When he speaketh a lie, he speaketh of his own: for he is a liar, and the father of it. And because I tell you the truth, ye believe me not. 1 John 3:9-10 No one who is born of God practices sin, because His seed abides in him; and he cannot sin, because he is born of God. By this the children of God and the children of the devil are obvious: anyone who does not practice righteousness is not of God, nor the one who does not love his brother. Matthew 13:38-39 The field is the world, and the good seed represents the people of the Kingdom. The weeds are the people who belong to the evil one. The enemy who planted the weeds among the wheat is the devil. The harvest is the end of the world, and the harvesters are the angels. Satan is deceiving his children. Was Cain the son of the devil? Not in the physical sense, but the spiritual sense. 1 John 3:12 We must not be like Cain, who belonged to the evil one and killed his brother. And why did he kill him? Because Cain had been doing what was evil, and his brother had been doing what was righteous.